We take this responsibility seriously and as such, we have clear systems and procedures in place to ensure that no child should suffer from harm, at home or at school. All staff (including teaching and non-teaching staff, temporary and supply staff, clerical, catering and cleaning staff, volunteers, students, extended school staff, club leaders and staff working on site employed by other services and agencies and those working with children and families in the community) have a statutory responsibility to safeguard and promote the welfare of children. All staff are expected to adhere to the Department for Education, London Borough of Islington and St. Mary’s Church of England Primary School’s safeguarding procedures and guidance at all times. Laura Mayende (Deputy Headteacher), Genevieve Prayag (Headteacher) and Ashan Venn (Assistant Head), have responsibility for Safeguarding at St. Mary’s. Copies of our safeguarding procedures and guidance, e.g. Child Protection Policy, Child Protection Concern Form, Whistleblowing Policy and DfE Guidance documents can be viewed either in this section, in the policies section of the website or obtained on request from the school office. Preventing unsuitable people from working with children and young people is essential to keeping children safe, therefore we conduct rigorous selection and recruitment of staff and volunteers in accordance with the Safer Recruitment practice guidelines provided by Cambridge Education @ Islington and the DfE guidance. Section 175 of the Education Act 2002 places a duty upon all schools to safeguard and promote the welfare of children. ‘Working Together to Safeguard Children’, the ‘London Child Protection Procedures’ and ‘Keeping Children Safe in Education’ provide a framework for enabling the school to fulfil its statutory duties effectively and efficiently in the best interests of children. If you are worried about the safety or welfare of any young person at home or at school, ensure that you report your concerns to the Designated Member of Staff for Child Protection. The Designated Member of Staff for Child Protection may refer the matter to Islington Social Care, the Police or other agencies, as all adults who come into contact with children at St. Mary’s have a duty of care to safeguard and promote their welfare. If you are a child, young person or parent who needs advice, guidance and/or support, you can contact the Children’s Services Contact Team (CSCT) and talk to one of our experienced team members about the services available in Islington that can help you and your family. Please click here for further information. The Governing Body and staff of the school are committed to creating and maintaining a culture of openness and honesty and strive at all times to work in partnership with parents and carers. We believe that this is in the best interests of children and their families. Only by developing co-operative working relationships within which parents and carers feel respected will we able to work holistically with children. Parents and carers will be given access to our child protection policy and a summary of it will be included in the literature given to those whose children are new to the school. We believe it is important that parents and carers are aware of our statutory duty to safeguard and promote the welfare of children and that we will where necessary share concerns about children with Children’s Social Care. Wherever possible we will aim to discuss concerns about children with their parents or carers and inform them if we intend to make a referral to the Children’s Services Contact Team. There may be rare instances however, when we judge that it is not appropriate to speak to a parent or carer before contacting the Children’s Services Contact Team. This would happen when the DSL or a Deputy DSL in her absence, judges that a child’s well being will be imperilled if the parent or carer is aware that a referral is to be made. Islington’s Family Directory provides information for parents and carers, children and young people and the practitioners working with them. It is maintained by the Family Information Service, please visit the Islington Family Directory page. The school believes in involving children in this process. ChildLine is a free 24-hour counselling service for children in the UK provided by the NSPCC. ChildLine deals with any issue which causes distress or concern, common issues dealt with include child abuse, bullying, mental illness, parental separation divorce and much more. To visit their website, click here. The NSPCC are the leading children’s charity fighting to end child abuse in the UK and Channel Islands. They help children who have been abused to rebuild their lives, protect those at risk, and find the best ways of preventing abuse from ever happening. To visit their website, click here. We recognise that a child who is abused or neglected may find it difficult to develop and maintain a sense of self worth. We recognise that children may feel helpless and humiliated and may blame themselves for what has or is happening to them. 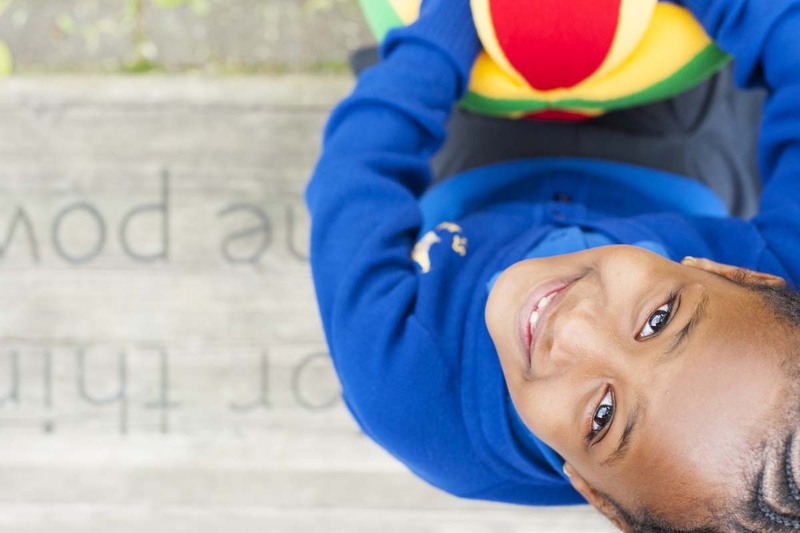 Our school may provide a vital source of stability in the lives of children who have been abused or are at risk of harm. We recognise that the behaviour of a child in these circumstances may range from that which is perceived to be ‘normal’ to aggressive or withdrawn. Providing opportunities through the Foundation Stage and PHSE curricula for children to learn strategies to protect themselves, ask for help and support and gain confidence in standing up for their rights and valuing and respecting others. Please read the following documents to gain a wider understanding of Safeguarding at St. Mary’s. Keeping Children Safe in Education Part 1 – All staff are expected to read and understand this guidance.